In Japan, when you see the dream in the three days of the New Year, there is a superstition that luck visits in that year. There is rank of the dream, the first is “Mt. Fuji”, the second is “Taka(Hawk)”, and the third is “Nasubi(Eggplant)”. I have never seen that dream unfortunately. I have decided to use the photo of Mt. Fuji for the New Year's card from about 10 years ago. The reason for using the photo of Mt. Fuji is that I’m very busy in December for agriculture, so I can’t write a comment in the New Year's card. If I send a photo of Mt. Fuji with no comment, I hope that my friends will be satisfied. 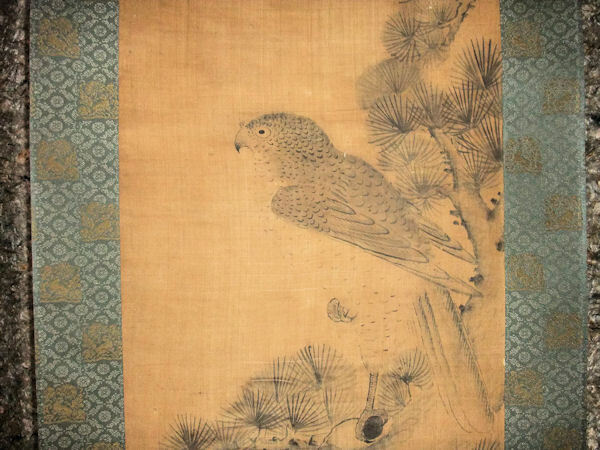 I decorate sometimes a "hanging scroll with hawk" that I received from relative. This is not something by famous painter, but we like it so bitter old. 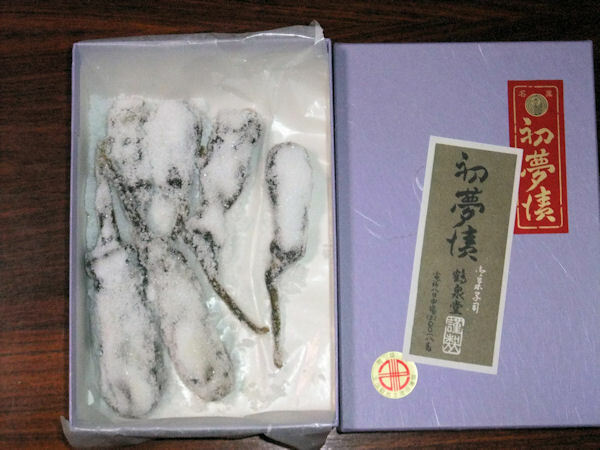 Tea ceremony teacher give me the "candied eggplant" every year. 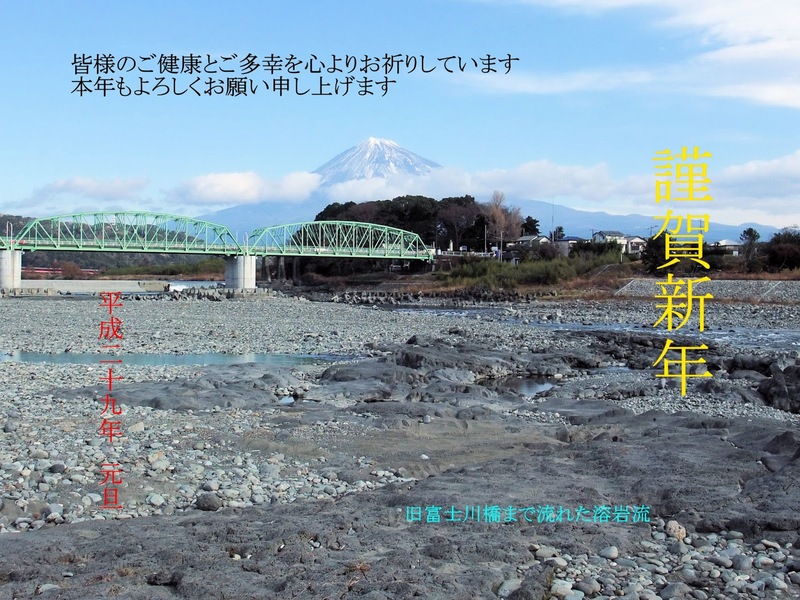 Since three things (1Fuji, 2Taka, 3Nasubi) are aligned, I wish safety and good luck for the people about the gold panning.